The Plantronics CS520 is a cordless binaural DECT headset. With its excellent voice quality, long range and optimal battery performance, it is ideal for professional use in the office or call center. The CS520 has a range of up to 12 meters and delivers with a talk time of 9 hours a reliable performance in office life. The voice quality is optimized with digital signal processing (DSP). This ensures a natural sound reproduction during conversations. An integrated noise-canceling microphone, which efficiently filters out noises in noisy surroundings, allows undisturbed calls at work. 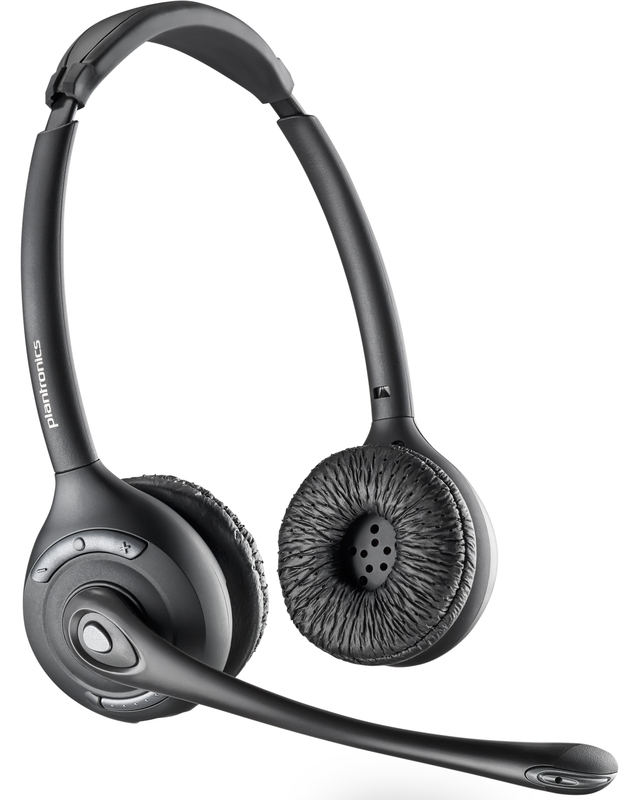 With two comfortable earcups, the CS520 is comfortable to wear on longer working days over your head. Its stylish binaural design and high-quality features deliver professional quality for professional demands. Ich wollte mal fragen, wieviele Headsets sich für Telefonate mit mehreren Leuten anschließen lassen? beim CS520 können Sie bis zu drei weitere Headsets für laufende Konferenzschaltungen hinzufügen.